Hi readers! 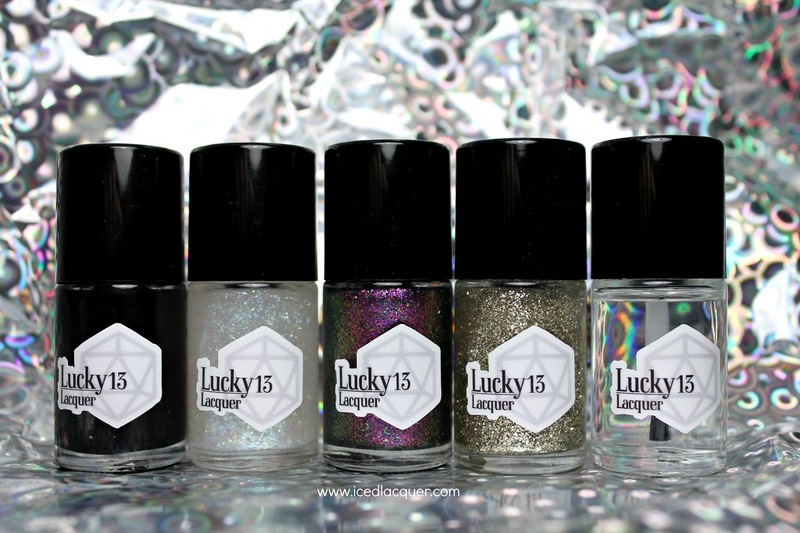 Today I have a few polishes from the Out of This World collection from Lucky 13 Lacquer to share with you. 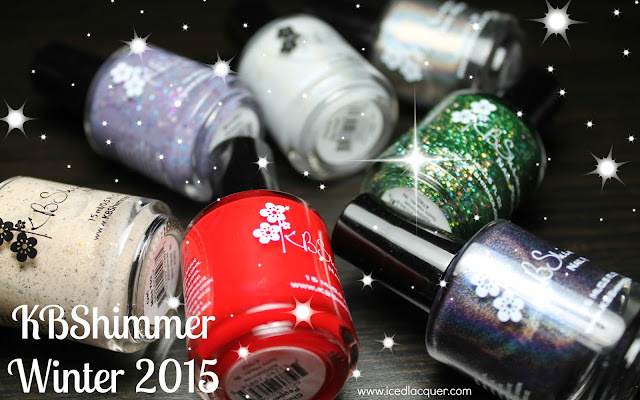 This astronomy-themed collection features an amazing black creme and six fun flakie top coats to go with it. Let's get to it! "Dark Matter" - A classic black creme polish that covers in just one coat! I have a few black polishes in my "favorites" rotation, but truly none of them are quite as opaque as this one. The "one coat" claim is 100% true and it's totally impressive! The polish wasn't too thick or thin and did an amazing job of leveling out any unevenness in application. My photo shows one coat plus top coat. "Gamma Burst" - A clear-based topper filled with iridescent flakes that primarily shift between seafoam green and a medium blue. This topper gives you an opal-like effect on the nail. My photos show two coats over "Dark Matter" plus top coat. "Supernova" - A clear-based topper filled with metallic multichrome flakes, which shift between pink, purple, gold, green, and a bit of blue. Out of all the polishes I've tried like this "Supernova" seems to have the smallest flakes and a fairly full-coverage formula (whereas others can have larger flakes and require more coats for coverage). 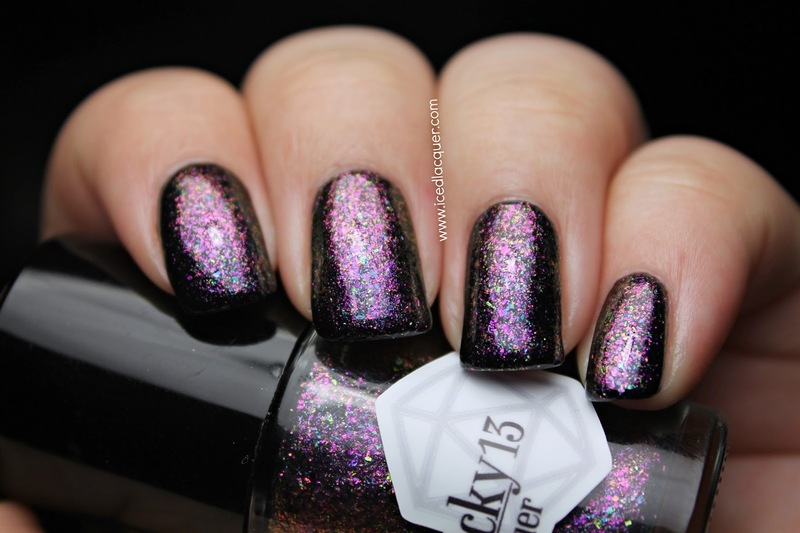 My photos show two coats over "Dark Matter" plus top coat. "Star Stuff" - A clear-based topper filled with genuine silver plated flakes. The flakes are quite small so I'm not sure if it would be possible to build this up to opacity (maybe by sponging it on?) but I quite enjoy the effect of the smaller particles. The name is perfect because this totally gives you a starry sky effect on the nail. My photos show just one coat over "Dark Matter" plus top coat. 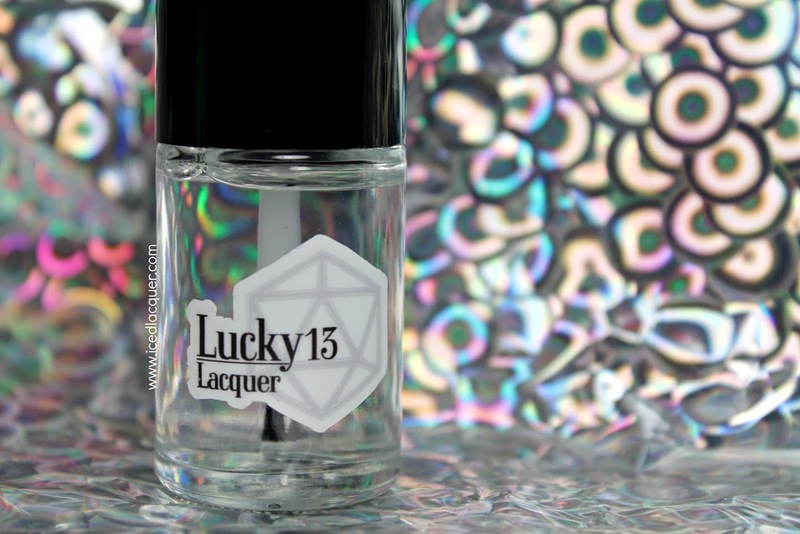 Lucky 13 Lacquer creator Jess was also kind enough to send along a bottle of her quick drying top coat "Elemental Ward" for me to try out. I'm always searching for a good top coat so I was eager to test this one! I did use it for all the swatches you see above and found it to be a great consistency and certainly quick drying. It left everything shiny and smooth. 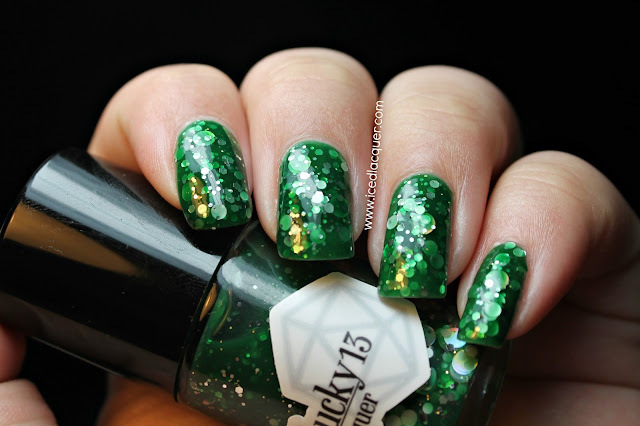 I'm going to paint my nails tonight for St. Patrick's Day and use "Elemental Ward" so I will report back on how it holds up through normal wear! 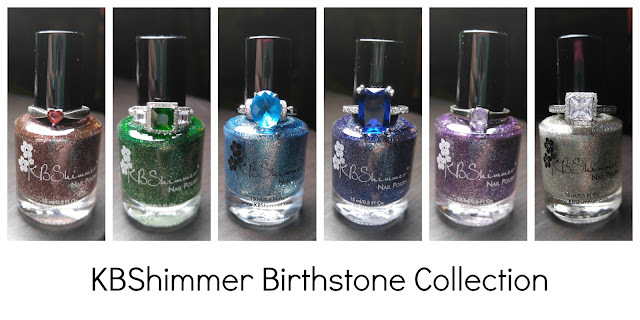 Color names: Four shades from the Out of This World collection ("Dark Matter," "Gamma Burst," "Supernova," "Star Stuff,") & "Elemental Ward"
My opinion: I'm really impressed by the sampling I tried of this collection. I will absolutely be recommending "Dark Matter" to everyone I know because everyone needs an excellent black creme like this. The flakie toppers all applied awesomely and created a fun effect on the nail. I thought that "Star Stuff" might end up being similar to WingDust "Perfect Little Satellite," but I like that it serves a totally different purpose in my collection as a topper. I can't wait to use it as a background for some galaxy nail art! So yeah, overall I really like these polishes and think Jess has created a beautiful collection. I love the background you used in that last shot! ^^ Ditto what Tiffany said! That looks awesome. ^_^ Would you believe that it's foil gift wrap? !